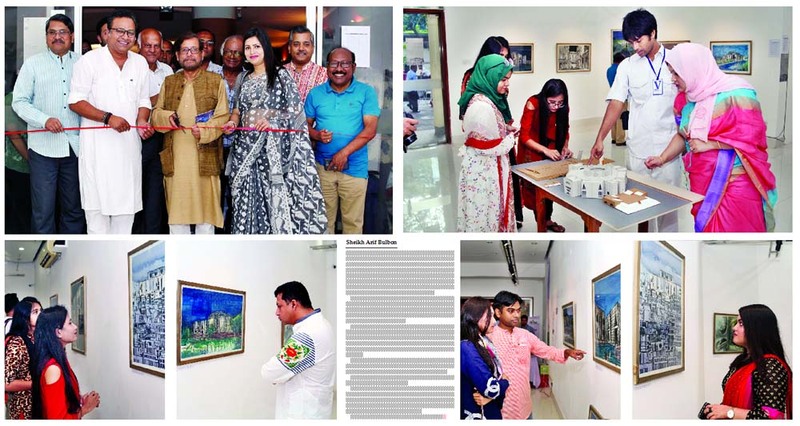 The week-long solo sketch exhibition of architect Dr Sajid Bin Doza Bonny titled ‘Silence in the Crowd: Sketches of National Parliament Building of Bangladesh’ was held at La Galerie of the Alliance Francaise de Dhaka in the city’s Dhanmondi area. To convey the magnitude of the structure, Dr Doza chose to express his thoughts using pen and ink on handmade paper. There are also some uses of soft colours to view and contemplate the architecture in a surreal background. This is Dr Doza’s eighth solo.